She is an ekegant and dainty beauty! I love all white trees. Oh my goodness! I absolutely adore your tree and all your wonderful creative ornaments. I hope you will link this on Monday as it is AMAZING Terri! Your tree is gorgeous. I love those two ornaments. Your post really lifted my spirits. Thanks for sharing. I had so missed your blog posts. Glad you are writing again. Best holiday wishes to you! I very much enjoy your Jane tree. It's so lovely. Thank you for sharing your beauty and grace. 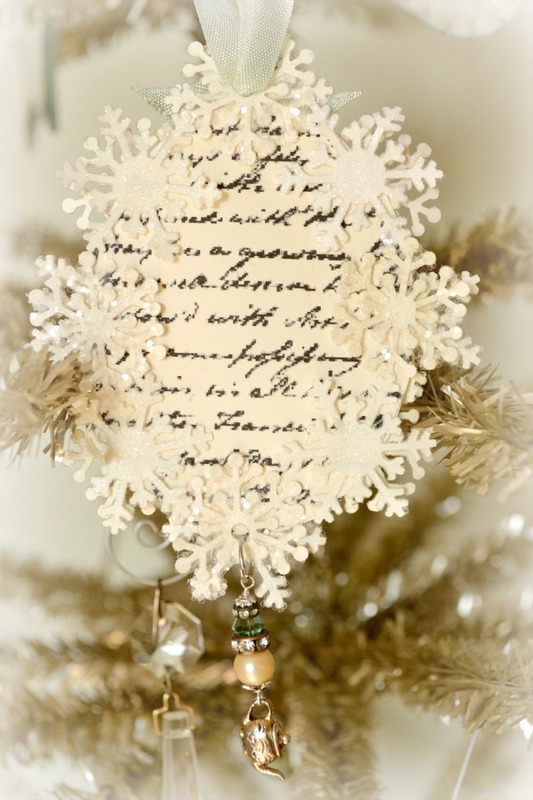 I LOVE your Jane Austen tree! It is so sweet and very elegant too. I love that you made all the ornaments yourself. Each one is very unique. 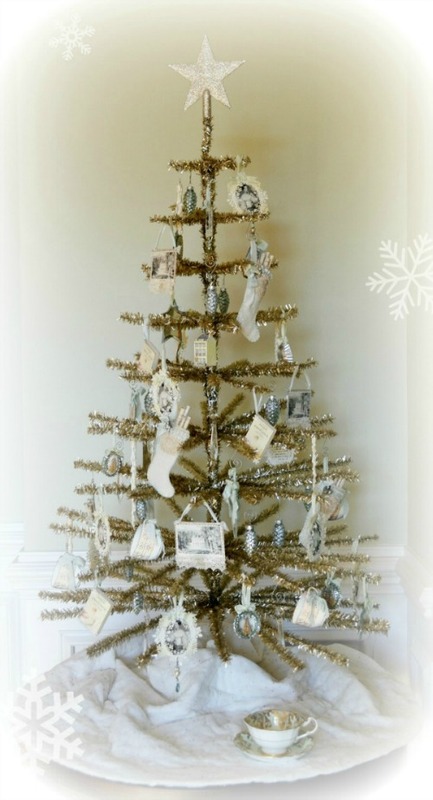 You know I would love to have done something like this with my little pink tree but this year will not be the year. Maybe next year. Thank you for sharing this little beauty and please do share it at my party on Monday. Hope you are enjoying the weekend. Take care! Your JA tree is WONDERFUL! 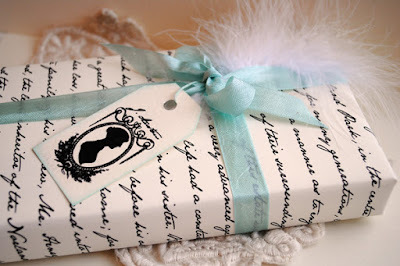 You are so clever how you make so many lovely crafties - you never cease to amaze me! Terri, will you please email me your address? Hi Terri, this is magic... I love your tree! Lovely!! What a gorgeous post and I just love your 'Jane' tree. Such a beautiful tree Terri! Thank you so much for sharing! So glad you shared this at No Place Like Home. It is an adorable creation! It's nice to see some of your beautiful tea up close Terri. I especially like the photo of Jane with a few beads and a teapot at the end. What a stunning tree. All the special ornies are so delightful. Just love! Happy holidays! It's such a beautiful idea. 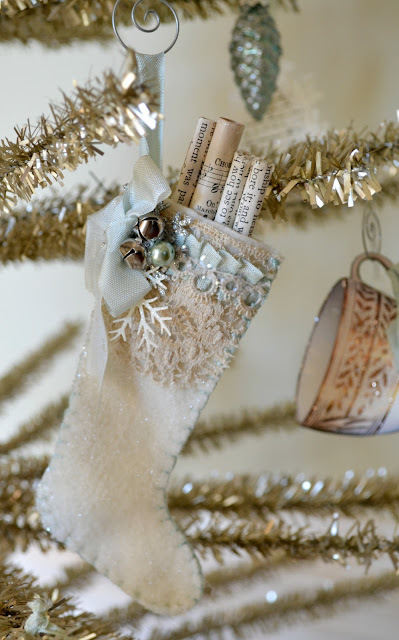 It makes for a truly feminine tree. I love the wrapped gift too. Merry Christmas! Terri! That tree is awesome!! 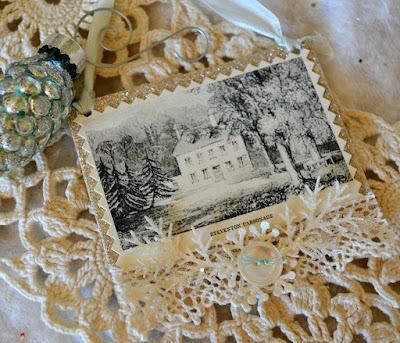 Love your beautiful ornaments! It is just dreamy! 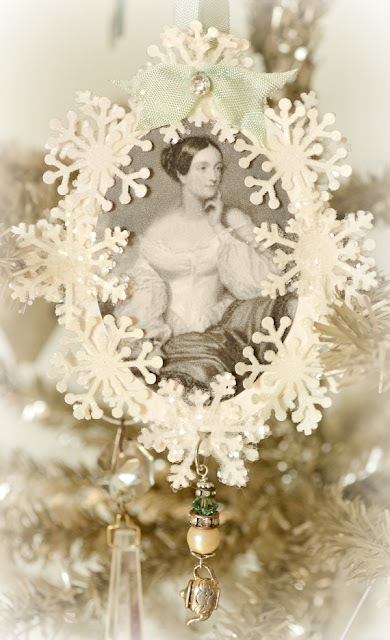 I am so glad you linked your Jane Austen Tree. I was so impressed that I wanted my husband to see it. He was most impressed too! Thanks for sharing. LOVE IT! Your attention to detail is amazing! Your tree is gorgeous! What a lot of work and love...a genuine work of art and tribute! 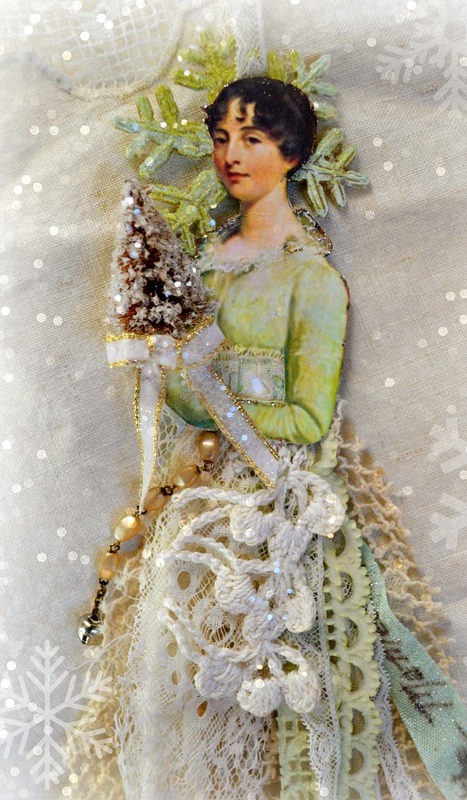 Oh Terri, I`m so happy I found this , posted while I was away, What a stunning post dear friend, the tree, looks amazing every year, and your new jane angel is so beautiful, with her glittered tree in her hands, and lovely skirts. 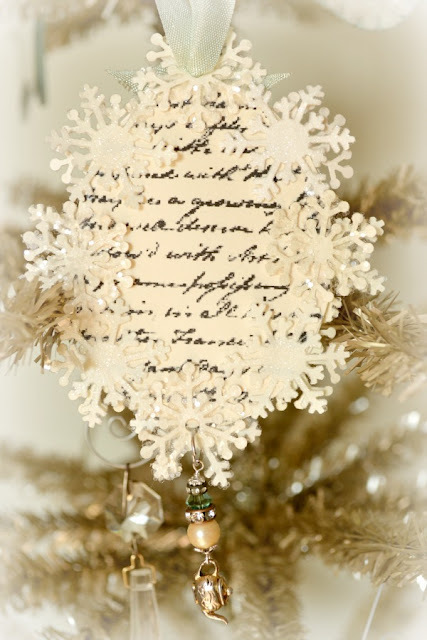 So soft lovely tones, too, and I love your oval ornament, with all the sweet punched snowflakes around and your gorgeous made pearl dangles . I think she belongs beautifully there with all the other Jane pieces, even from another time, and like you, I`m sure Jane dosen`t mind, lol. Yes ,all the joy by creating is so important to us, and is giving so much happiness in our lives . Wow Terri...your creativity is so inspiring!!! and your creations are absolutely amazing ..so elegant! I love everything! Exquisite beauty!! I love that first pic especially..and the beatiful tea cup waiting there! What a wonderful and festive post! Yes I think she looks like her for sure! Thank you for sharing your magical world..your generous tutorials and your gorgeous art always! And Yes I agree, this time of year is about all of those precious things! Massive hugs..thank you for all that you do and share and shine out!! Terri!! This is just amazing!! 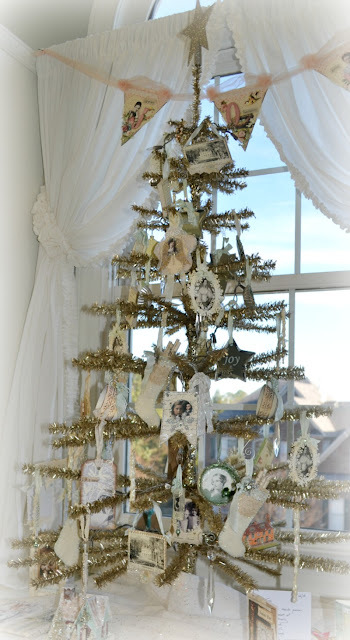 Love the feather tree and all the ornaments are just spectacular!! I can't remember the last time I posted on my blog nor took the time to read someone else's blog. 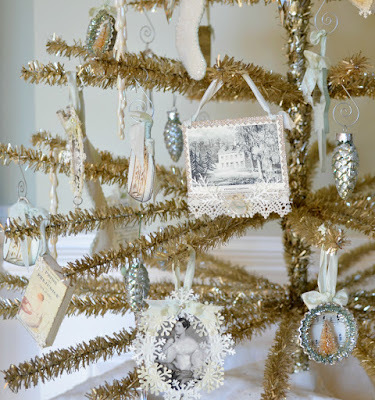 I'm glad I paused long enough to go from my inbox to your actual blog because the pictures of your Jane Austin tree made me grin so big that my cheeks started aching. 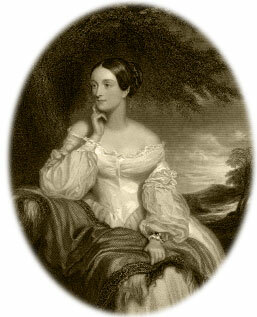 Not because I'm a huge Jane Austin fan but because through your pictures and words you shared a love that was tangible. You made me smile and I thank you for that. Your themed tree is a delight. This posting is featured today as one chosen from Monday's party. Congratulations as it is so amazing! I am so glad that I wandered around today!!! Your tree made my heart and senses so very happy. It is truly a wonder! 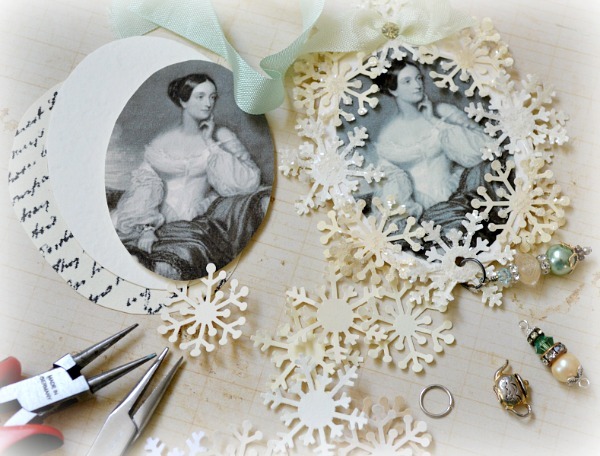 Thank you for sharing how you went about creating the beautiful ornaments...Jane is just gorgeous. No time this year...but what fun I shall have waiting for next Christmas. Best ~ Mickie. Your Jane Austen tree is very lovely. Love the ornament you made and just everything about it. The tree itself brings back memories of my childhood. We had one similar to it growing up. Oh My Gosh, Stunning in every way! I adore your tree and just my style. I am just stopping by to let you know I am featuring your lovely JA tree at my party today. Hope you're having a wonderful day. 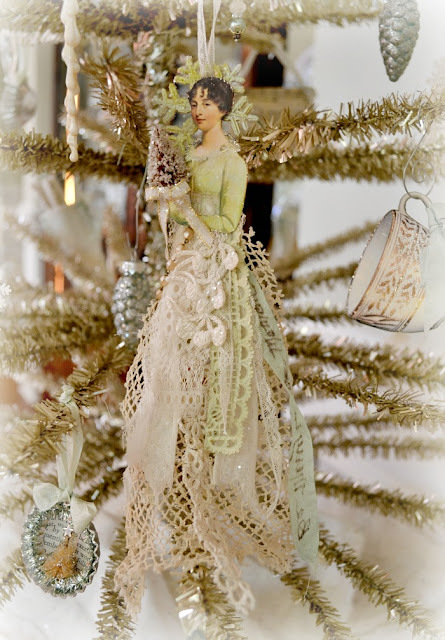 Oh my goodness, Terri, your Jane Austen tree is a work of art! Thank you for sharing it's beauty with us and your lovely creativity. The only thing better would be seeing it in person!